Volcalis mineral wool is a 100% recyclable and ecological product, based on sand and binder of biological origin. Because it is an excellent insulation, it reduces energy consumption in buildings and, because it is highly compressible, reduces the transport requirement by about 10 times, thus reducing CO2 emissions even further. 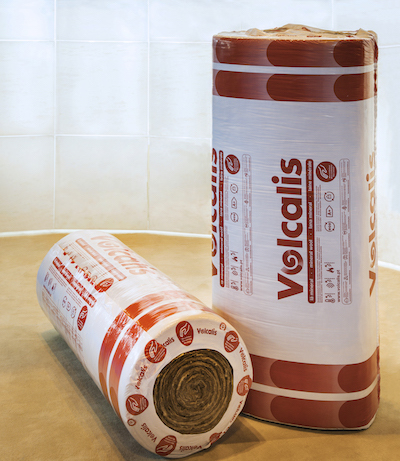 Volcalis mineral wool is an excellent thermal and acoustic insulation, has a soft touch and is easy to handle. Because it is highly compressible, it simplifies transportation, cutting and installation. Mineral wool is a fire protection material, is not combustible and does not conduct heat. Volcalis mineral wool is used in a wide range of applications, whether in construction of new buildings or in rehabilitation, ceilings, partitions, wall coverings and ventilated facades, for thermal and acoustic insulation.